Since returning from Cornwall on Monday it has done nothing but rain. 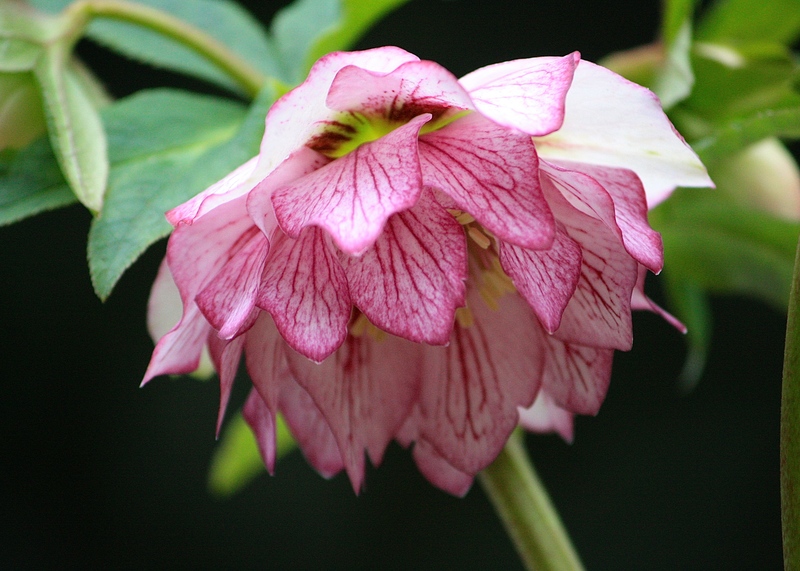 In the short hours between work and sleep I have been revisiting the photographs of my new hellebores. Meanwhile they’ve had to battle the elements on the other side of the glass, waiting for an evening fine and light enough for me to plant them. I fully expect the flower show will be over by the time conditions are right to complete the job. 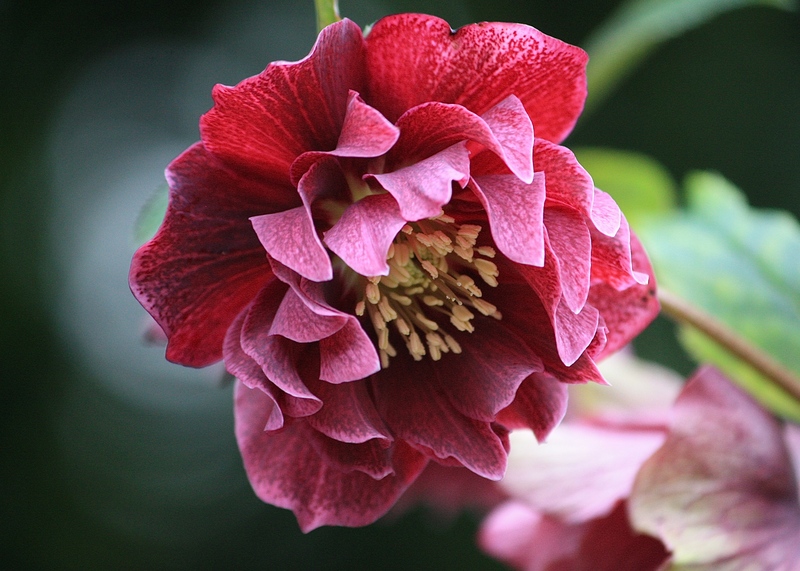 All four of my purchases from Wendy Perry’s garden were from the Helleborus x hybridus ‘Bosvigo Doubles’ strain. Each one is beautiful, sumptuous, almost exotic; looks so unexpected in a flower that appears early in the year. They may only be increased by division, so will remain unique to our London garden for years to come. 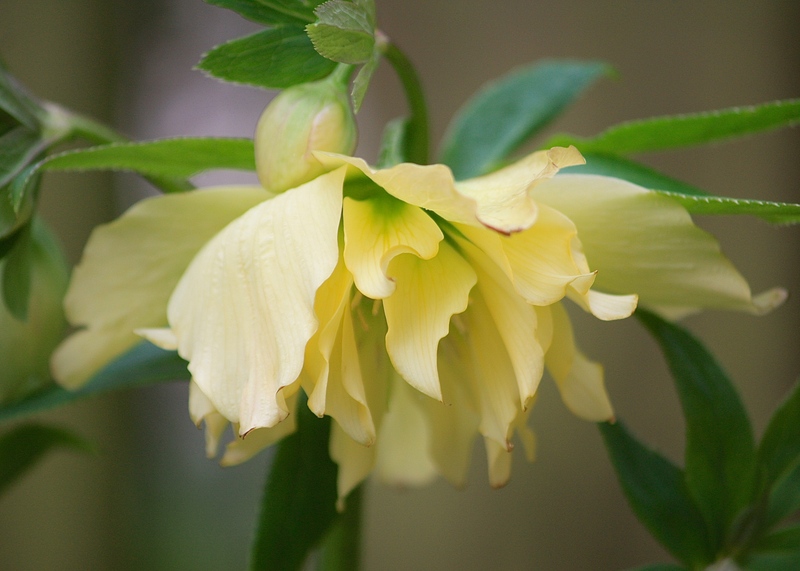 Some hellebore breeders name their hybrids in order to offer them commercially. Mine will never be exchanged for money, but I’ve had fun choosing pet names for them. First, let me introduce you to ‘Blackberry Fool’. What I love about this flower is the colour, which looks exactly like ripe, fragrant blackberries stirred into whipped cream. The petals curve protectively around the central boss of stamens, creating a ruffled, peony-like shape. Double flowers are often criticised for being inaccessible to bees, but this one seems to have struck a good balance between petals and pollen. I would plant it with one of Bosvigo’s signature spring bulbs, Crocus tomassinanus ‘Roseus’ or in the midst of a carpet of native primroses for delicious contrast. Next up is ‘Eton Mess’ (below and top) with flowers that remind me of crisp meringues speckled with raspberry juice. Pretty enough for a winter wedding bouquet, just a few flowers mixed with daphne, Christmas box and Baccara roses would look and smell stunning. I am not certain how old my plant is (perhaps three years?) but this seedling already appears to be a prolific bloomer. ‘Strawberry Parfait’ continues the high calorie theme which, if you’ve not guessed yet, is ‘creamy desserts’. The flower shape is similar to ‘Blackberry Fool’ but the smudgy venation is gorgeously girly. ‘Strawberry Parfait’ would make a good companion for pink and white camellias or daffodils such as Narcissus ‘Ice Follies’, a reliably early flowerer. Last but not least is ‘Lemon Posset’, with irregularly ruffled petals as pretty as a Schiaparelli evening gown. Lemon Posset’s clear, acid-yellow flowers hovering gently above sky blue muscari or scilla would conjure the very essence of spring. It will be a good year or two before I decide on a favourite – like any good dessert one needs to try a few mouthfuls before passing judgement. I still find it hard to comprehend that there can be so much variety within this strain; a credit to Wendy Perry and her partnership with Mother Nature. Vigour and stature will eventually determine which wins my affections, although I am confident all will remain special. Do you have a favourite? If so, let me know….. They are all absolutely gorgeous. I am not a great fan of double flowers but I make an exception for irresistible Hellebores like yours and double primroses. I have been out in the garden all morning – it’s more like April than early March. I guess you still have lots of snow there? All absolutely stunning – thank you! You are welcome. Glad you enjoyed the post. Every one a winner! 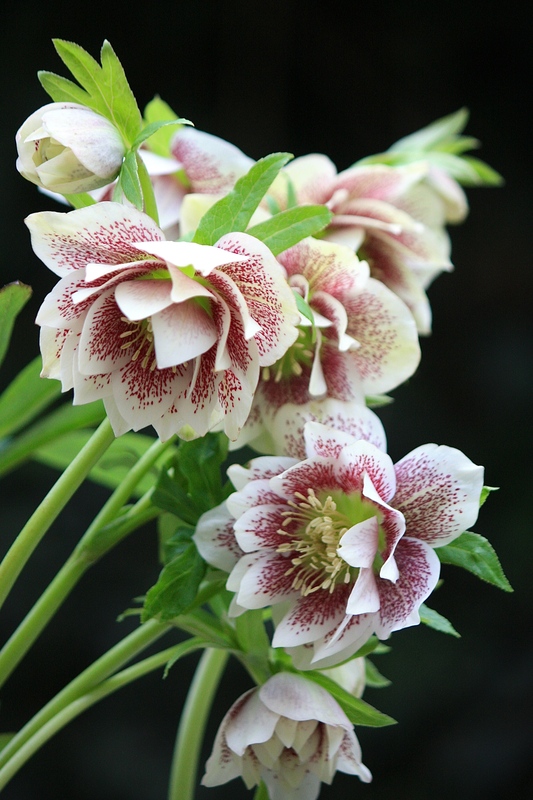 I have seen some beautiful pictures of hellebores this year and your newbies are some of the best. Delicious. Thanks Gill. How are conditions at Cliffe? Some of my Canary Islands plants are looking a bit yellow (although interestingly not the Echium). Even on chalk in raised beds the conditions are so much soggier here than normal. Am a bit miffed as have just discovered vine weevils in my lily pots – little blighters. Very wet of course but not too bad except for the deer who are becoming a real nuisance. They eat the everything including the echiums! I am at my wits end. I don’t want to resort to anything drastic but some mornings ……. I must check our pots, we have had some in the past but nothing too drastic. I think it might be a good year for them, from murmurings around and about. What we need is some SUN! AGREED! We have had sun 2 days in a row now. I am not getting my hopes up, but I think some of the plants are! Afraid I can’t offer any wisdom regarding the deer, it would probably be about as helpful as my bindweed suggestion. Firearms perhaps? I image you to be a sharp shooter! Annie get your gun! I am a very good aim with cherry pits. Unfortunately I am too much of a softie to shoot anything. Perhaps I should toughen up. Or get some wolves, mind you a lion would probably be quieter for the neighbours.